In the topics discussed so far, it has been said that Swami Nammazhwar is the highest acharya of the Vedanta and that Swami Ramanuja was deeply attached to Divya Prabandham. In the sections that follow it will be shown that the Sanskrit Vedas, their Upabrhmanas and the Sanskrit works of the Purvacharyas – especially those of Alavandar, Koorathazhvan, Bhattar and Desikan – mention the greatness of Divya Prabandham and Azhwars. Swami Madhurakavi Azhwar was on a pilgrimage to the north, when one night, he observed a brilliant light emanating from the south. Curious to know the source of this light, he followed it all the way to the southern end of the land reaching Azhwar Thirunagari and discovering that Swami Nammazhwar was the source of this light. 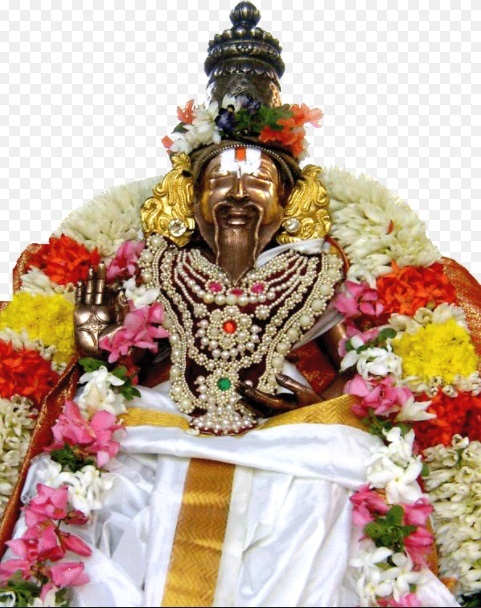 Swami Azhagiya Manavala Perumal Nayanar says in Acharya Hrdayam, “ஆதித்ய ராமதிவாகர அச்யுதபாநுக்களுக்குப் போகாத வுள்ளிருள் நீங்கி ஶோஷியாத பிறவிக்கடல் வற்றி விகஸியாத போதிற்கமல மலர்ந்தது வகுளபூஷணபாஸ்கரோதயத்திலே”. The ignorance, our inner darkness, that is not dispelled by the rays of the regular sun was dispelled. The immense ocean of samsara, that did not fully dry due to the Sun of Rama, was scorched dry. The hearts of the people that were not completely blossomed by the Sun of Krishna, blossomed fully. This was possible by the dawn of a new Sun, the one decorated by Vakula flowers, Swami Nammazhvar. 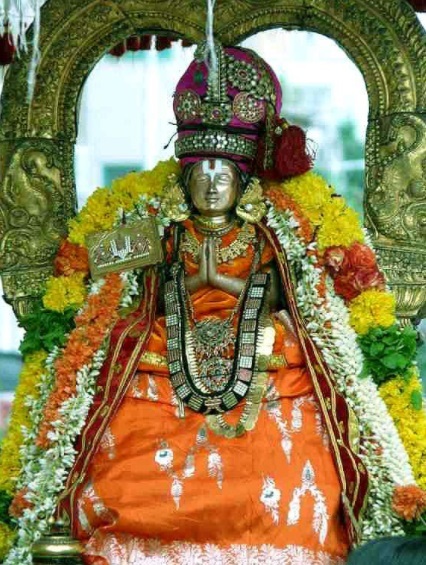 Whose thousand rays(hymns of Thiruvaimozhi) drive away the darkness of men, where Narayana dwells with His discus and conch, whose place as extolled by the scriptures is worshipped by the enlightened, I worship that Sun, Swami Nammazhvar, decorated by Vakula flowers. The hymn says that Narayana, gloriously decorated and bearing the conch and discus, is seated in the orb of Savita, and that He must be always meditated upon. 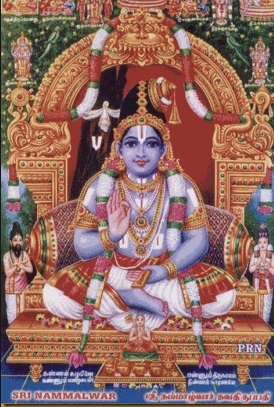 Swami Nathamunigal shows that this Savita Mandalam or Sun refers to Swami Nammazhwar, who shines with the thousand rays of Thiruvaimozhi, where Narayana dwells with pleasure, whose light(hymns) destroys the nescience of the world and whose light guided Swami Madhurakavi Azhwar from the north. That which emanates from Savita is Savitra. सवित्रा प्रातुर्भावितं सावित्रम् . 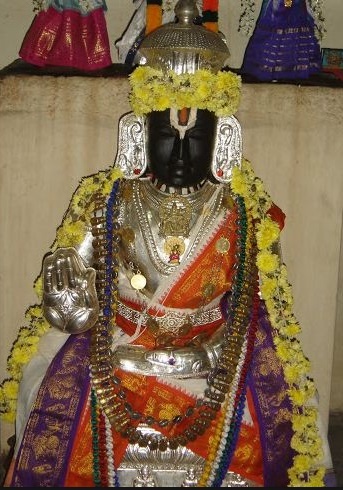 Therefore, Thiruvaimozhi is called Savitra. 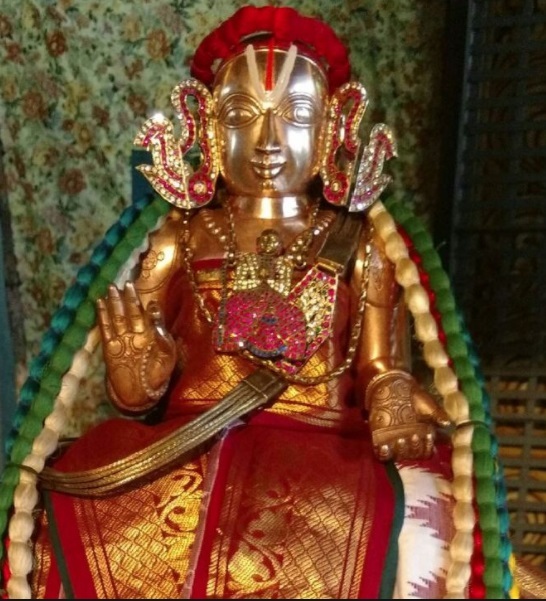 Indra instructed Bharadvaja to learn Savitra. In the Kataka section of the Yajur Brahmana, the first prasna relates the word of Indra to Bharadwaja. Indra realized what Bharadwaja was up to. The sage wanted to master all the Vedas. By his yogic prowess, Indra summoned the three Vedas. They appeared in front of the sage as three huge mountains. Indra showed Bharadwaja that at the end of three lives, he had learned only fistfuls of those mountains. Indra told him that the Vedas are infinite and cannot be mastered. Bharadvaja was shaken and dejected. ‘Then there isn’t a way to know the Vedas completely’, he pondered with worry. Sensing the sage’s despondency, Indra pointed him to the Super-Knowledge, by knowing which all can be known and one can attain liberation. That source of knowledge is called Savitra or Thiruvaimozhi. The Vedas are infinite. It is impossible to know them completely by direct study. If one desires to know them completely, one must know another body of knowledge called Savitra which conveys all that is known through the Vedas. It is only appropriate to point a person who is discouraged by the volume of one text to another text which conveys the same message, albeit in a clear and concise manner. Our Acharyas considered that Savitra, the thousand rays of the Sun, is the same as Thiruvaimozhi, the thousand hymns of Svami Nammazhwar, the Vakulabhushana Bhaskara. This entry was posted in Dramidopanishat on January 31, 2018 by brd01.